When Katelyn and Kenneth “Scott” Williamson attended their prenatal appointment in June 2016, they learned some unexpected news about their baby boy, Kaleb. Their unborn son was diagnosed with a cleft lip. Considered high risk because her first son, Kolton, now age 7, was born early at 33 weeks. Katelyn’s obstetrician, Robert D. Mixson, MD, chief of the Department of Obstetrics & Gynecology at Southeast Georgia Health System-Camden Campus, referred her to a high-risk obstetrician. During a routine ultrasound just two-and-a-half weeks before Kaleb was born, doctors detected a cleft lip condition near the baby’s lip and mouth area. The Williamsons were referred to the Snyder Family Cleft and Craniofacial Center at Wolfson Children’s Hospital. The Center’s interdisciplinary Cleft Palate Team provided the Williamsons with information about their son’s condition, future treatment and care. 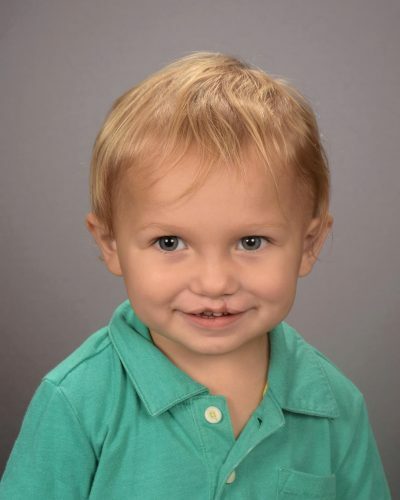 Kaleb, now 2, has had three cleft lip and palate repair surgeries performed by the Cleft and Craniofacial Center’s interdisciplinary team of specialists at Wolfson Children’s Hospital. The Williamsons are happy that Kaleb has been able to get exceptional quality medical and surgical care close to home at the Snyder Family Cleft and Craniofacial Center at Wolfson Children’s Hospital, which recently received certification from the American Cleft Palate – Craniofacial Association (ACPA) as an ACPA-approved Cleft Palate and Craniofacial Team. Wolfson Children’s Hospital’s regional program is one of 112 in the country, seven in Florida and two in Georgia to have earned this approval. To receive this national distinction, teams must meet the required standards of care and outcomes set by the ACPA, an international nonprofit association of more than 2,500 healthcare professionals who are involved in treatment and research related to cleft lip, cleft palate, and other craniofacial abnormalities. Among the many functions of this organization is to perform reviews of teams from various locations. The Snyder Family Cleft and Craniofacial Center at Wolfson Children’s Hospital follows nationally-recognized standards and protocols for the depth of specialists who are on a child’s medical team, as well as protocols for timing of evaluations and treatments based on a child’s specific needs. Children born with birth defects known as cleft lip, cleft palate and/or other craniofacial differences require individualized treatment from infancy into adulthood. 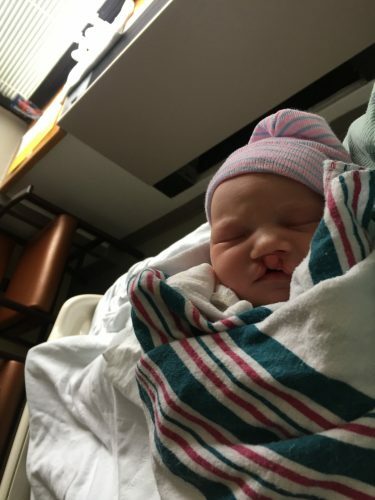 The Snyder Family Cleft and Craniofacial Center at Wolfson Children’s Hospital receives generous support from the Edward and Lizbeth Snyder Pediatric Cleft and Craniofacial Conditions Endowment. The Snyder Family Cleft and Craniofacial Center at Wolfson Children’s Hospital helps children from North Florida, South Georgia and beyond. Wolfson Children’s Hospital provides cleft and craniofacial services in partnership with Nemours Children’s Specialty Care, Jacksonville, the University of Florida College of Medicine – Jacksonville, Emergency Resources Group, and professionals in medicine, surgery, dentistry, orthodontics and other community-based partners.